The second Sunday of every year is always a bad weather day and coincides with the East Ribble Freemasons marshalling the East Lancs. Hospice 10k run. The second Sunday of 2019 was no different with spells of driving rain and high winds! Nearly 30 Masons, partners and friends from across the District arrived at the marshalling station at Gaskell Motor Bodies in Great Harwood to be allocated their spots around the 10k course. The Team guided the participants to the start line, organising and guiding the car parking. 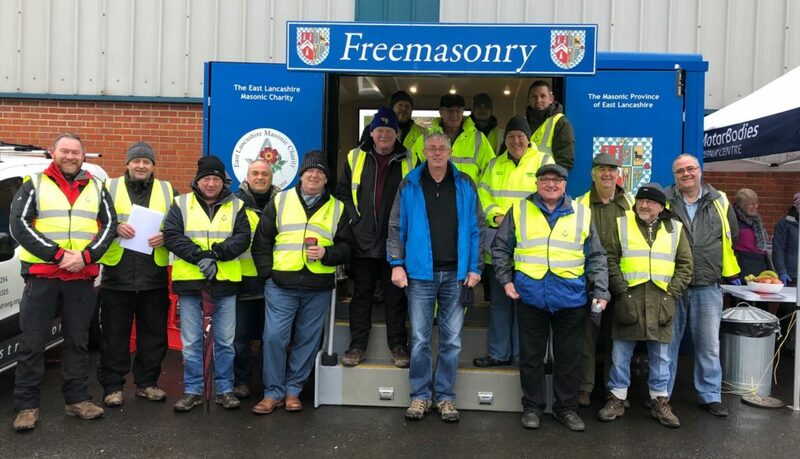 Sincere thanks go to WBro’s Bruce Pollard and Ian Johnson for their early delivery and removal of the Provincial trailer which is an ideal centre for control for the event. Once everyone had been walked in to their position by WBro David Gill or made their way to their Marshalling points, the race started at 11.00am prompt. 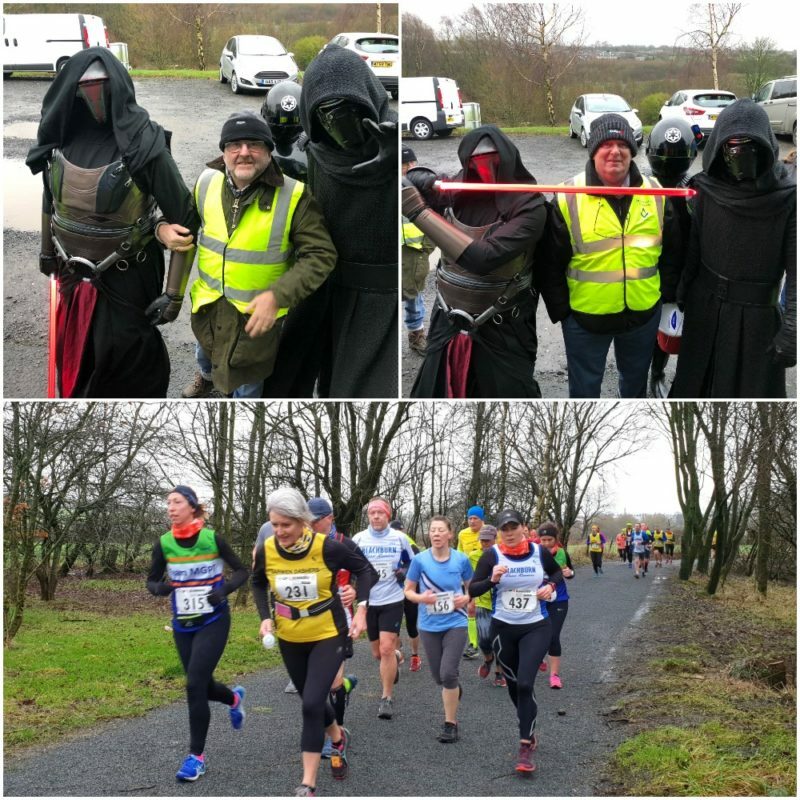 Nearly 430 runners took part in the senior race, whilst 60 juniors ran in their event taking the total to nearly 500, as always a great turnout for this popular event and one that last year raised £19,000 for the Hospice. The final totals have yet to be calculated for the 2019, but it is hoped that the total will be around the same or higher. Grateful thanks to all of the Volunteers and organisers, who once again did themselves proud by supporting another worthwhile and important community event.